After I posted about the Shark’s Fin Melon seeds that we would be taking to a seed swap in Drefach Felindre we have had several enquiries about the availability of the seed. We still have some seed available which we are happy to offer. If you do not live locally to us we can post a packet to you (UK only) in exchange for a suggested donation of £2.50 to the Trust. Money raised through donations will be put towards extending the forest garden / agroforestry planting at the Trust, as well as covering post and packing cost. Donations can be made through PayPal by pressing the button below, or you can contact us via our contact page to make a donation via bank transfer or cheque. 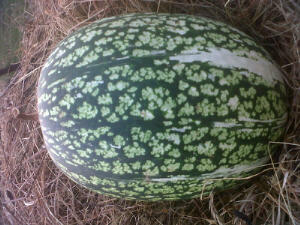 This entry was posted in Seed Saving and tagged avalible, Cucurbita Ficifolia, seed, shark's fin melon, swap. Bookmark the permalink.